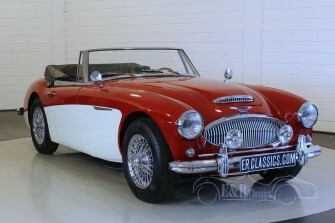 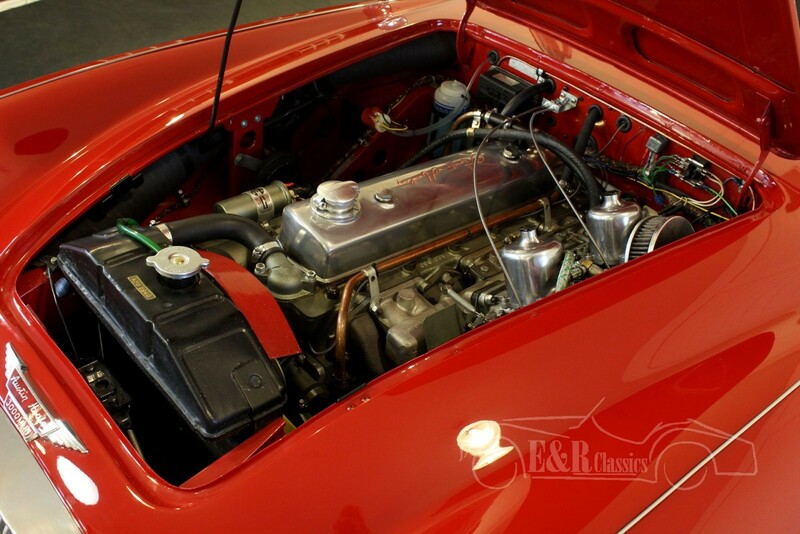 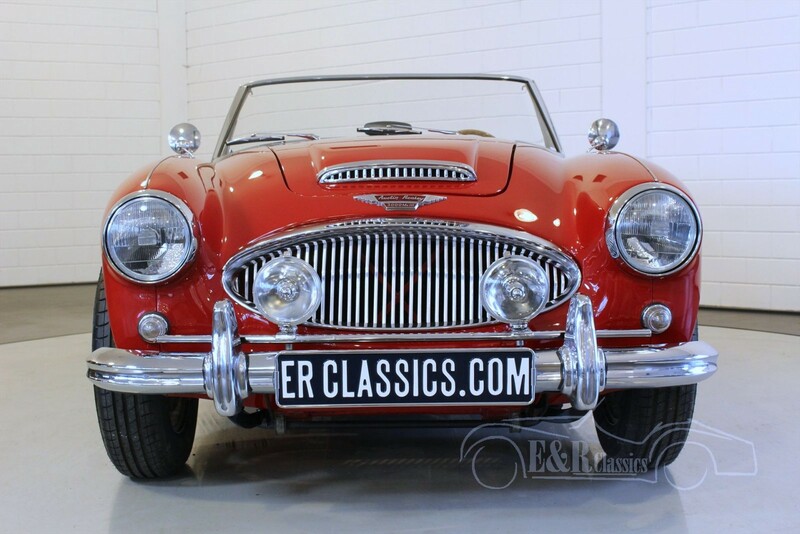 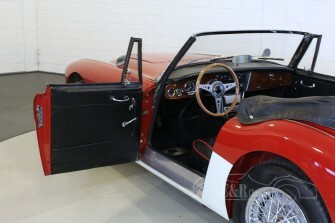 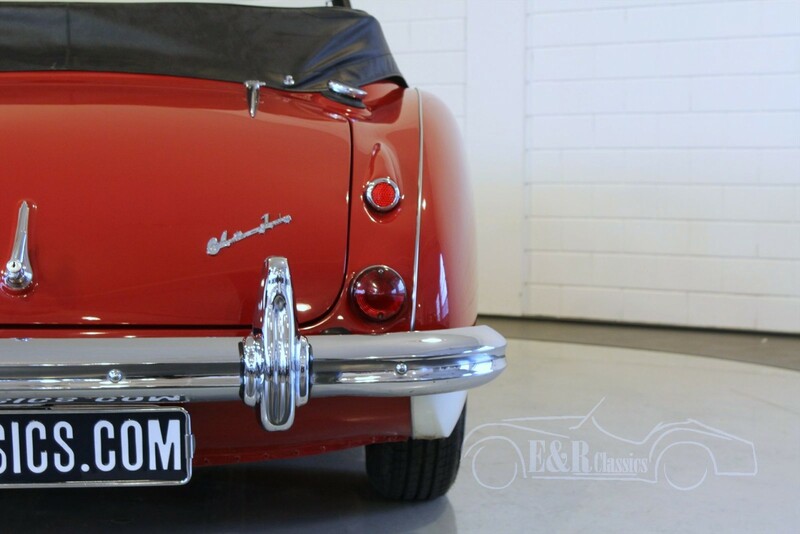 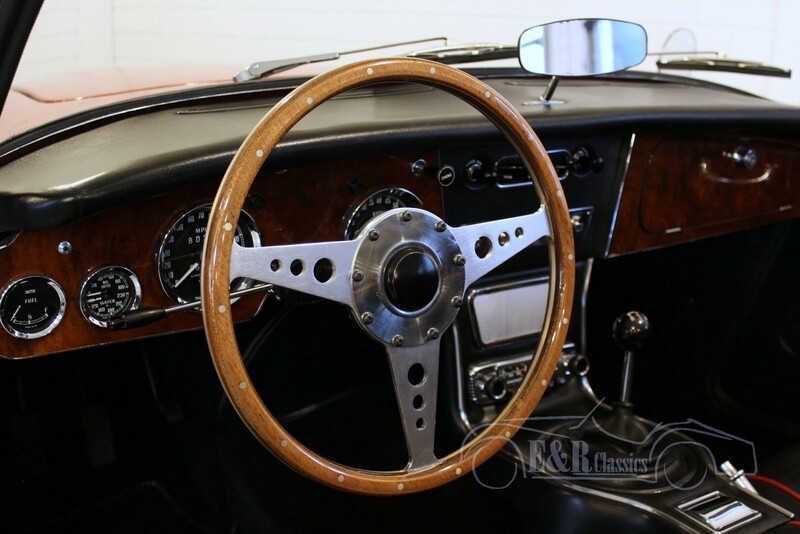 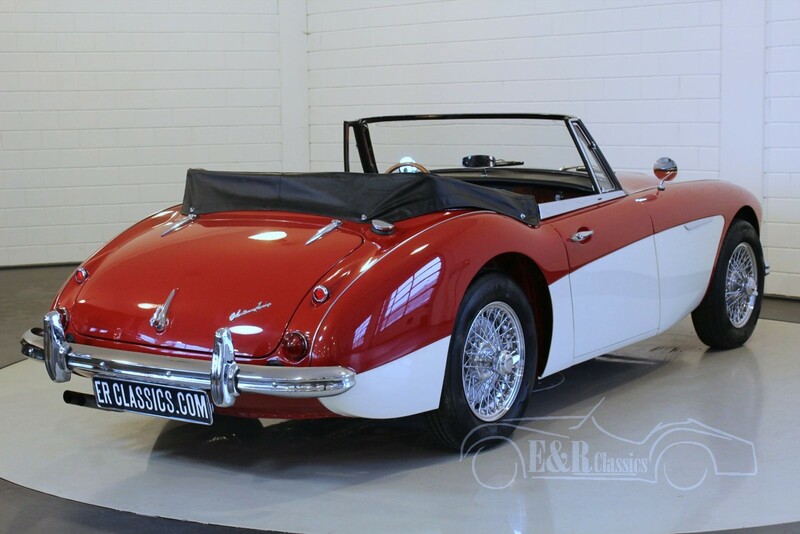 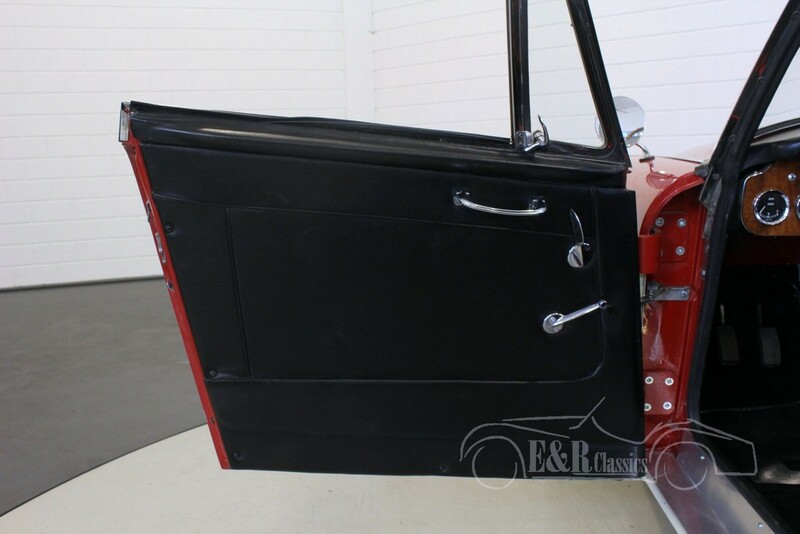 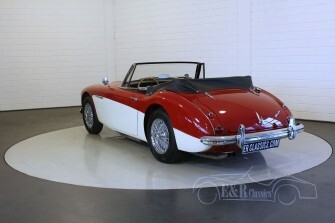 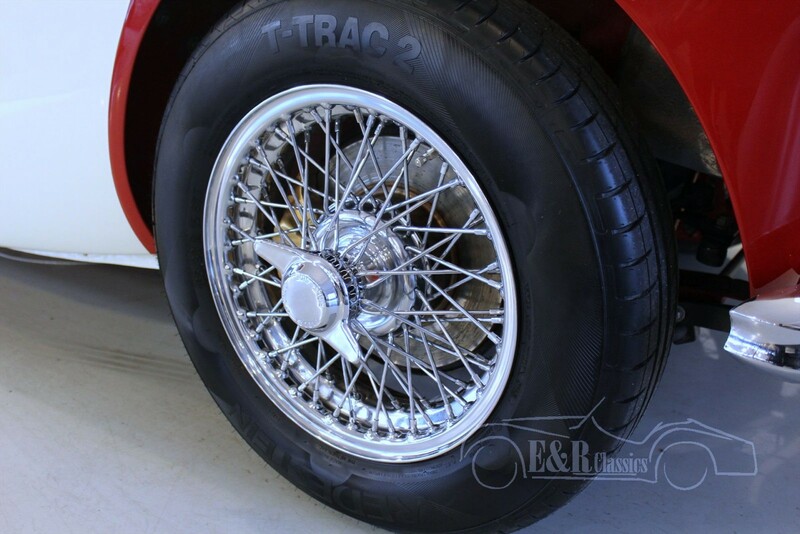 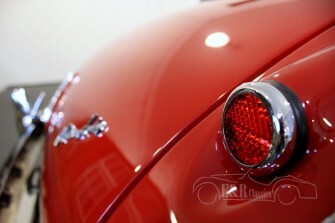 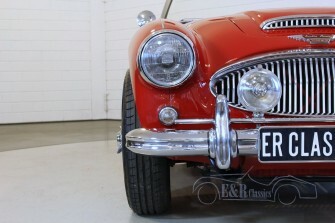 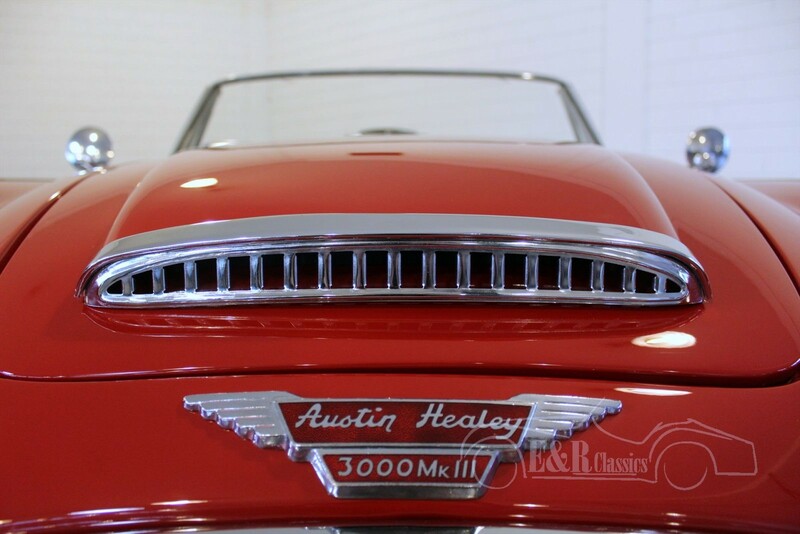 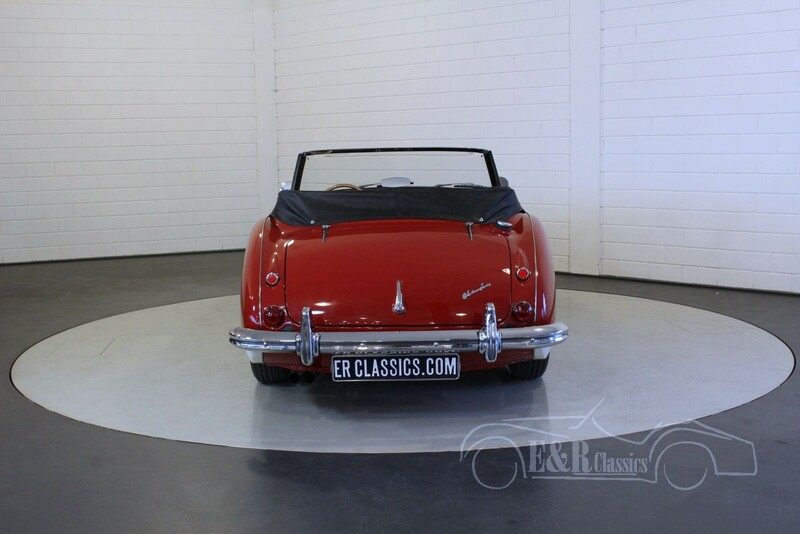 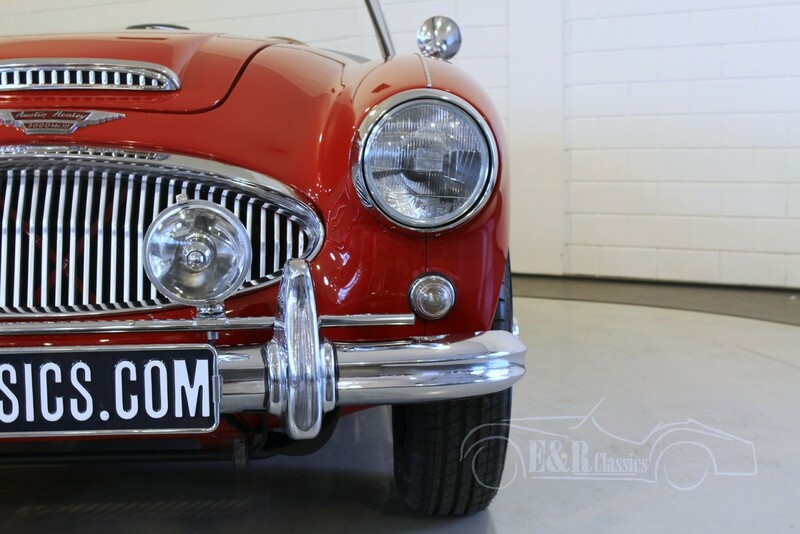 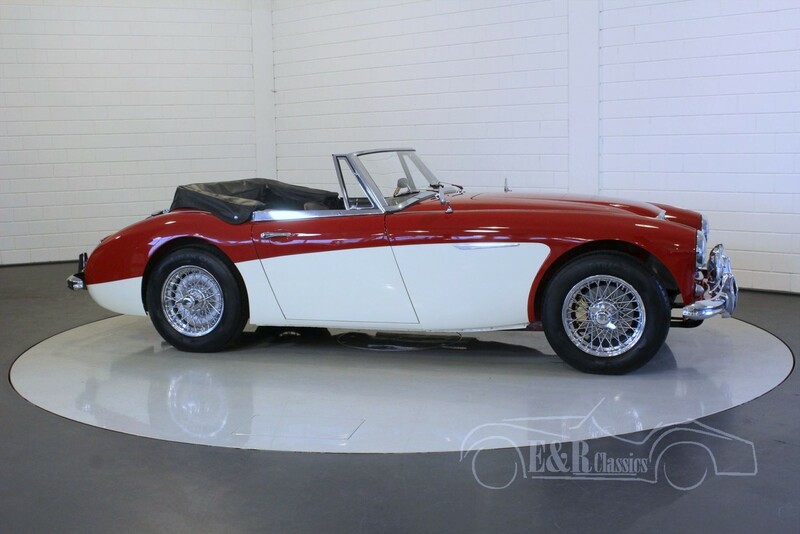 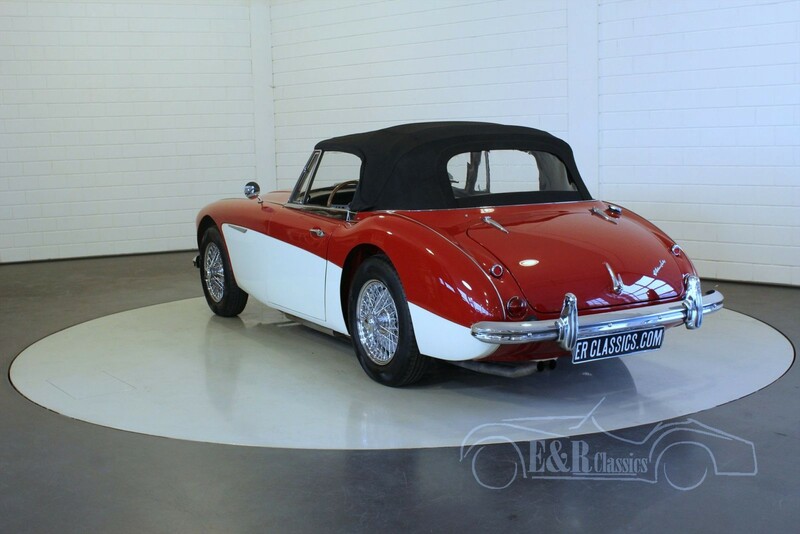 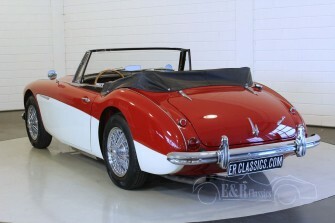 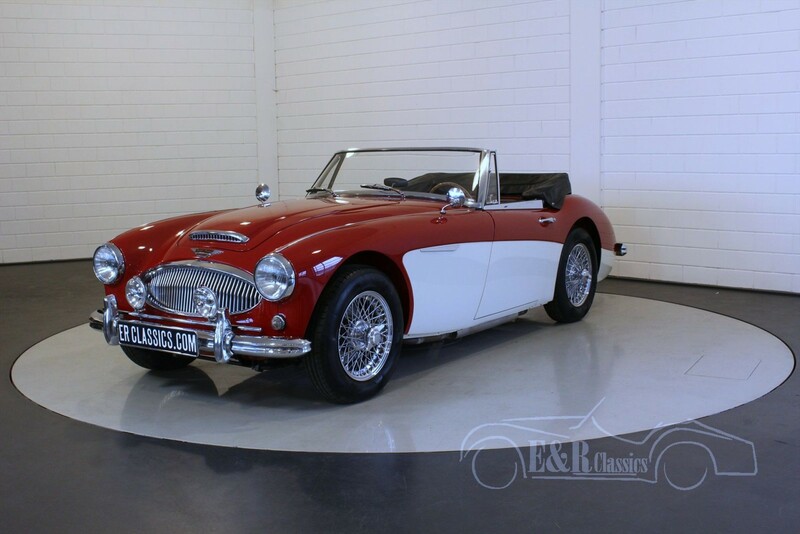 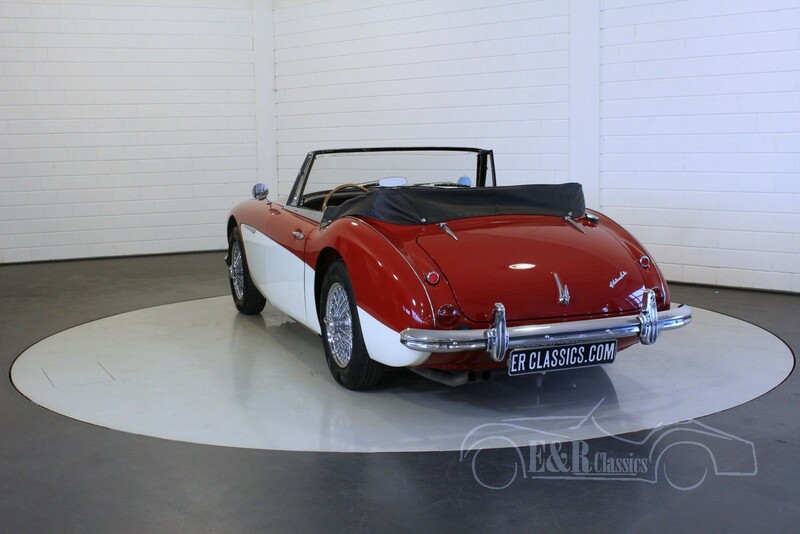 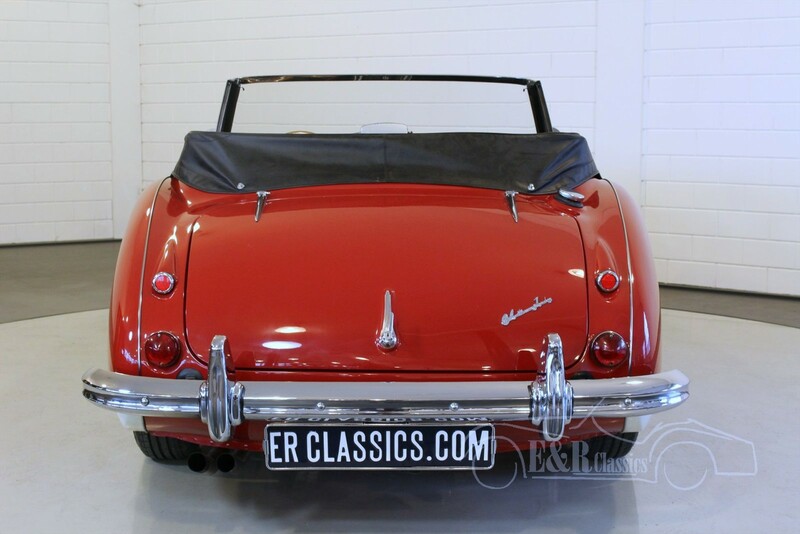 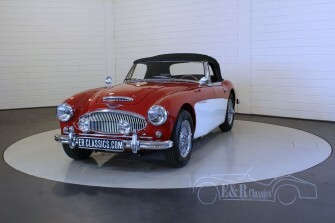 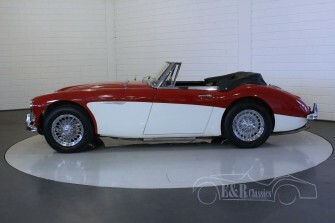 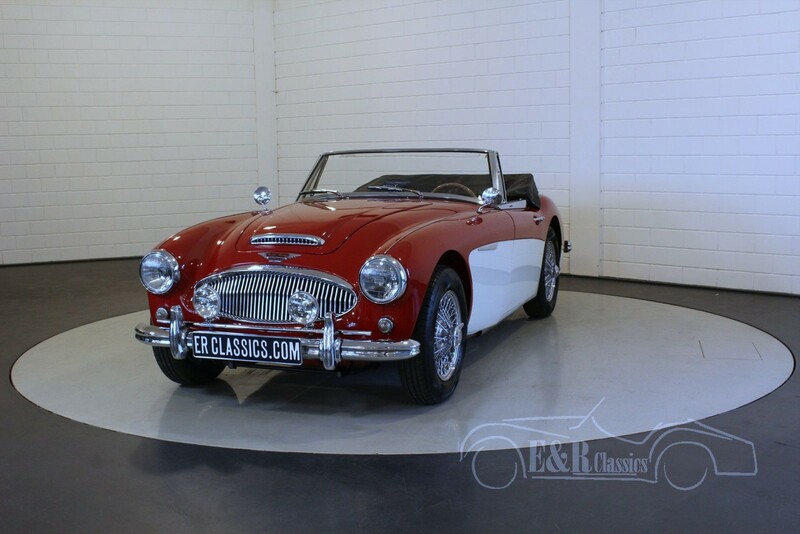 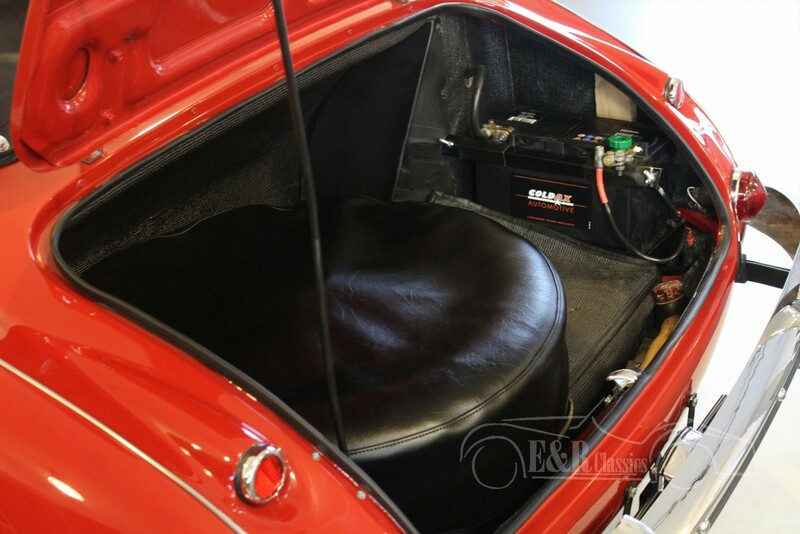 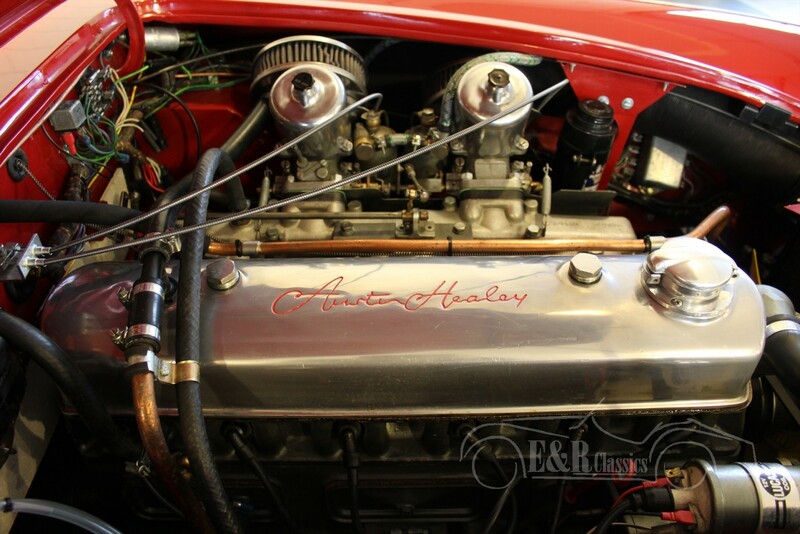 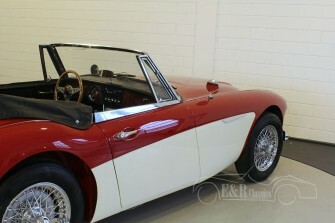 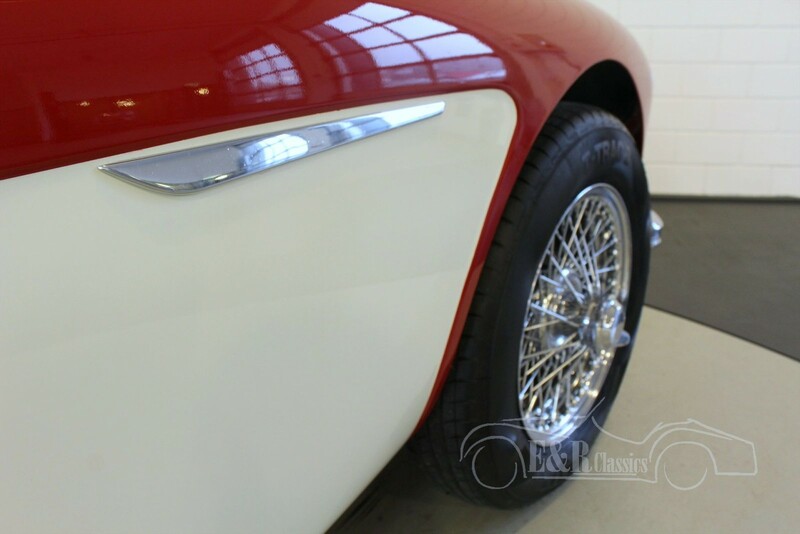 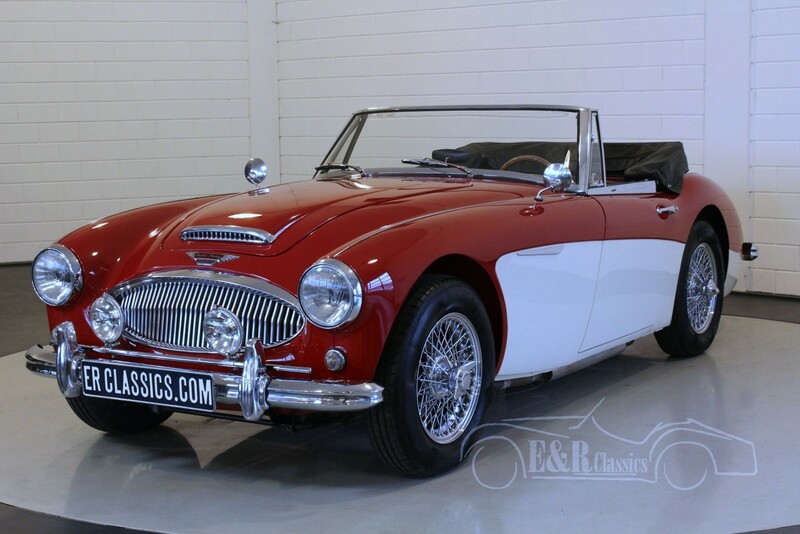 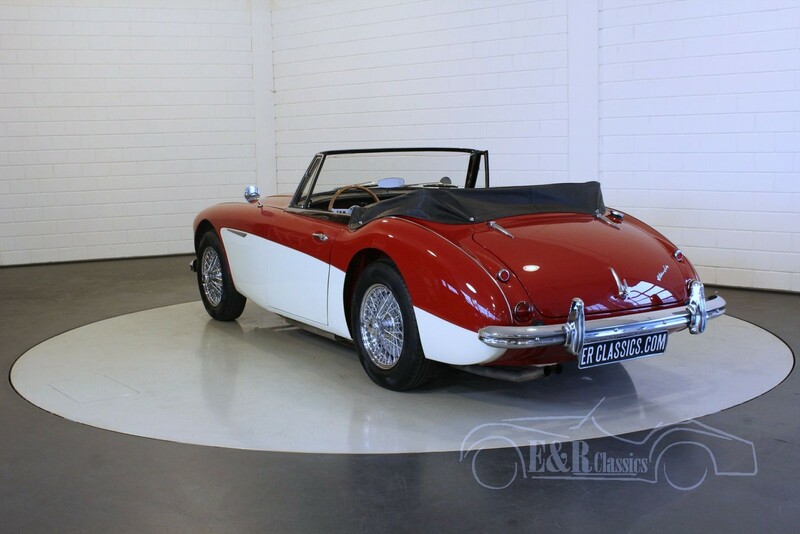 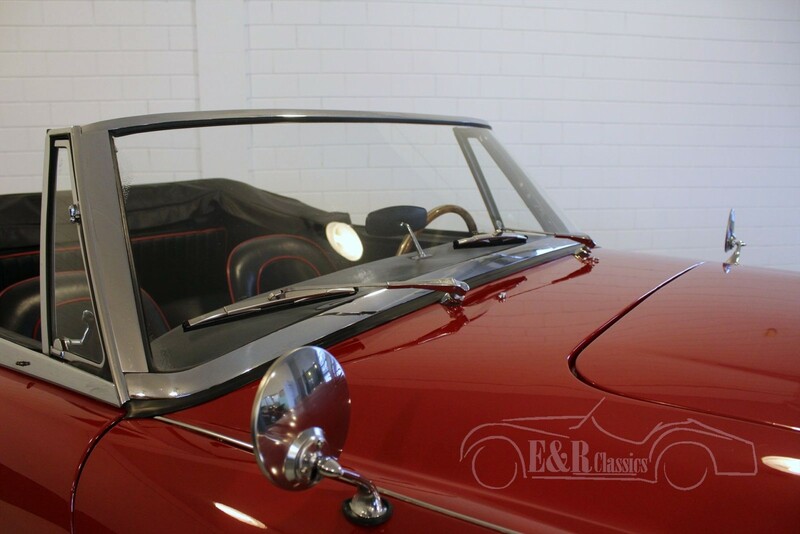 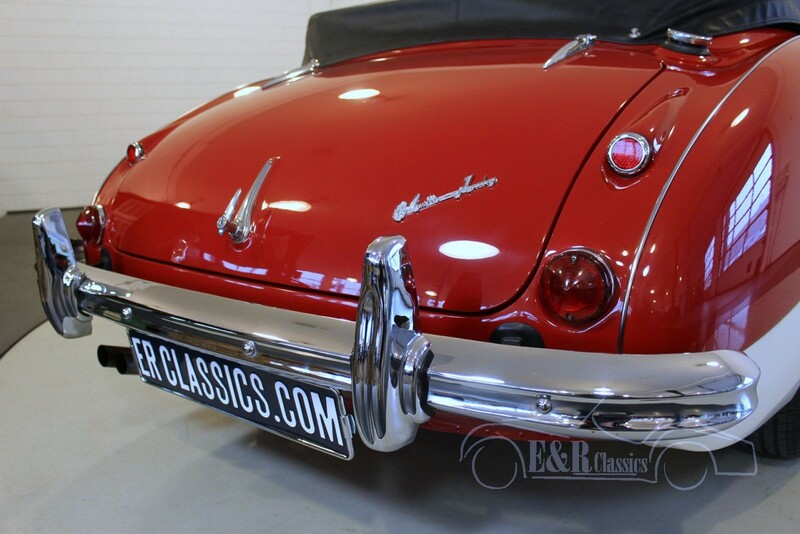 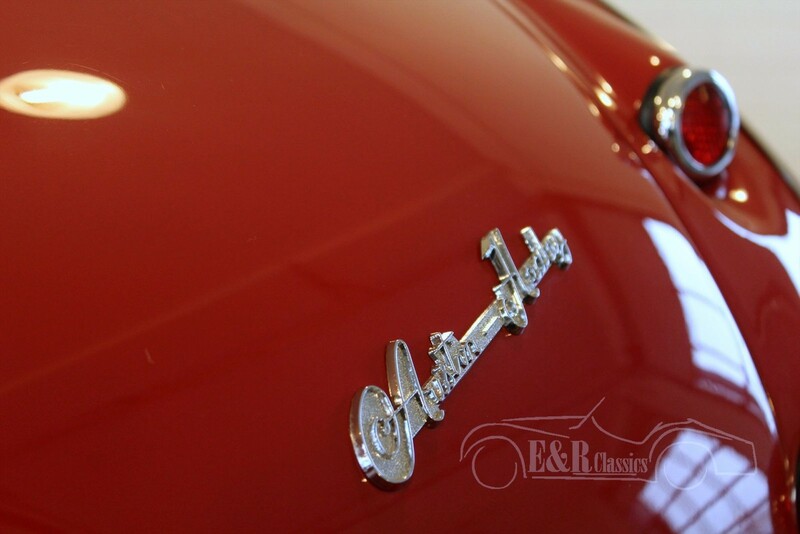 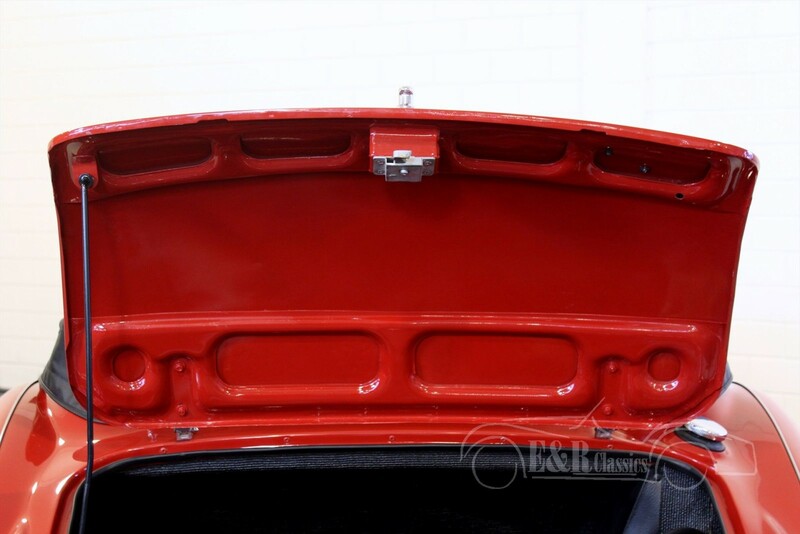 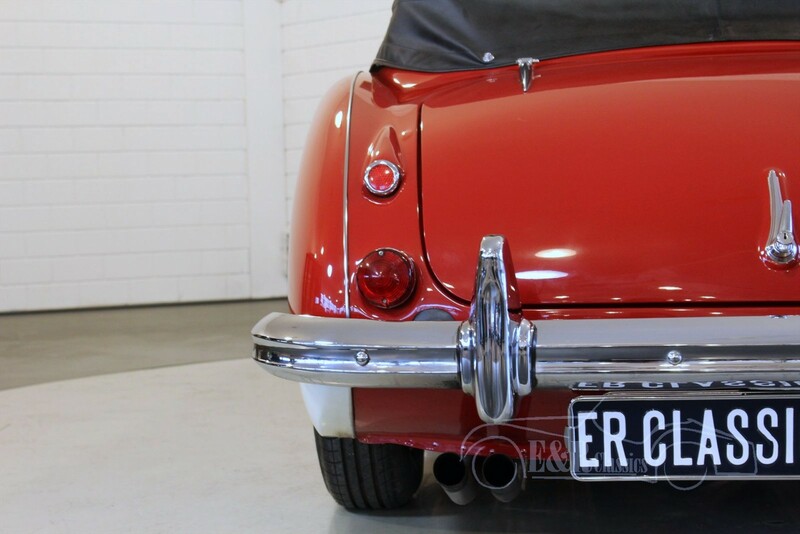 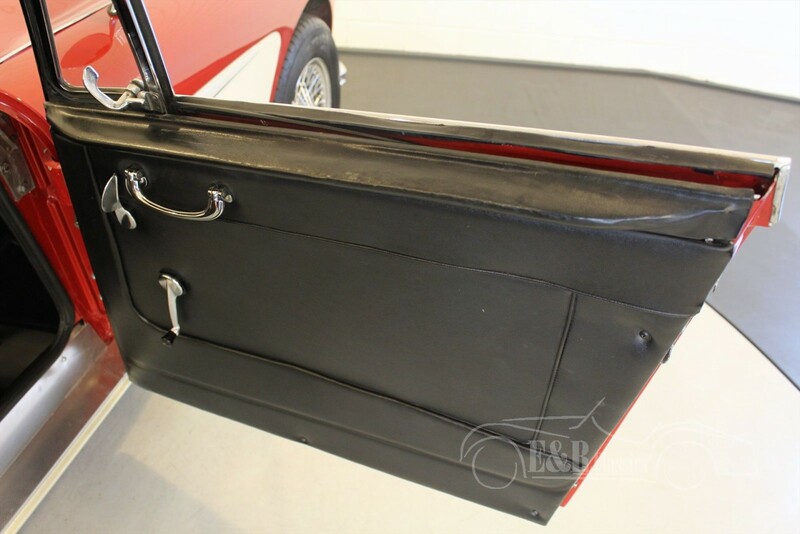 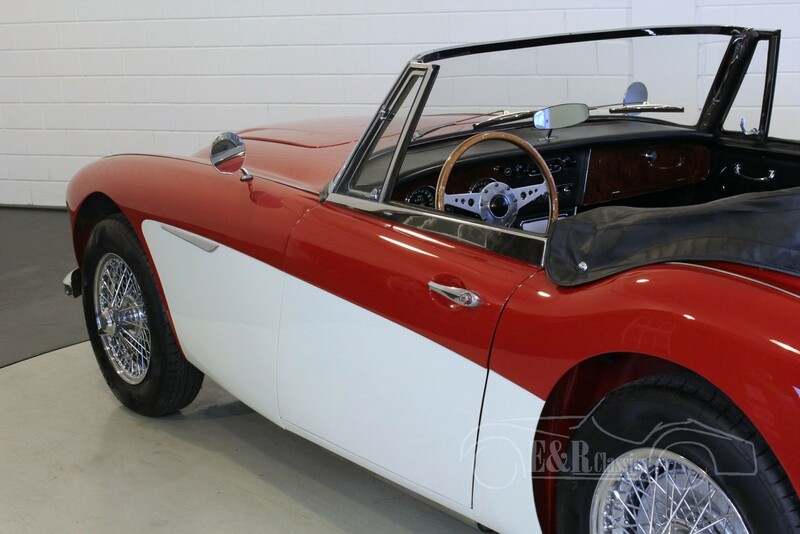 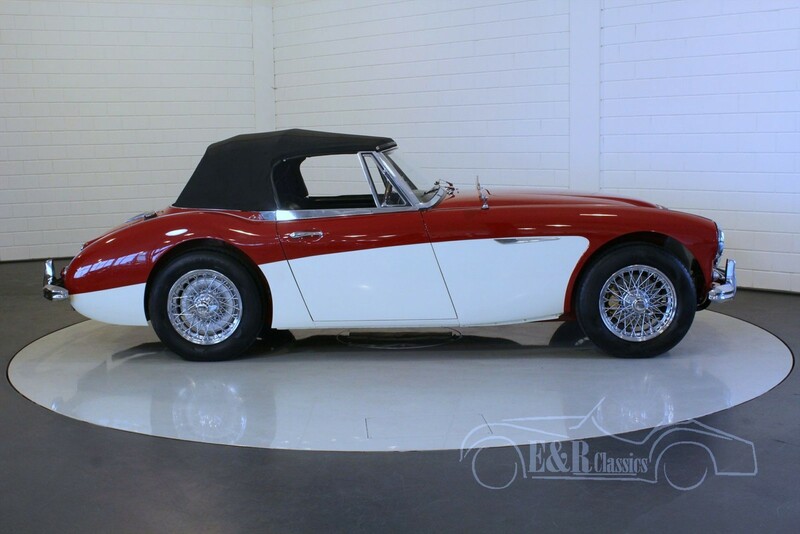 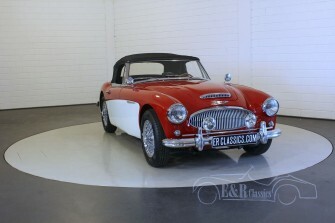 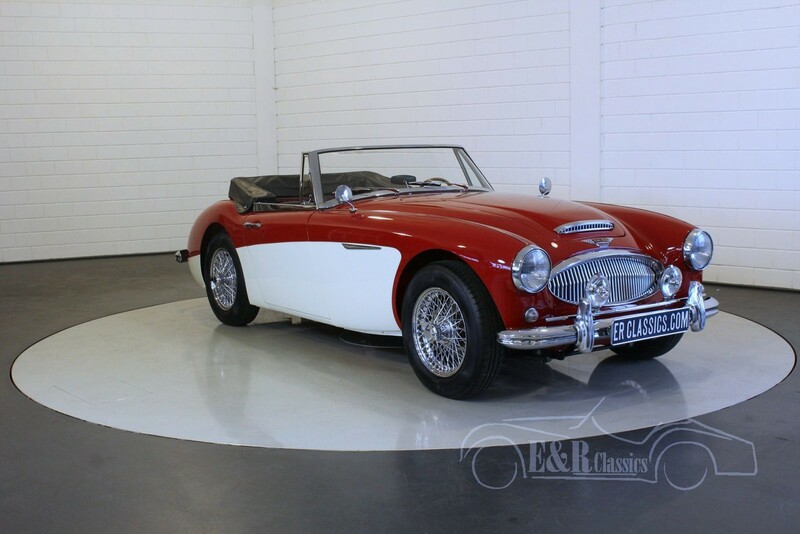 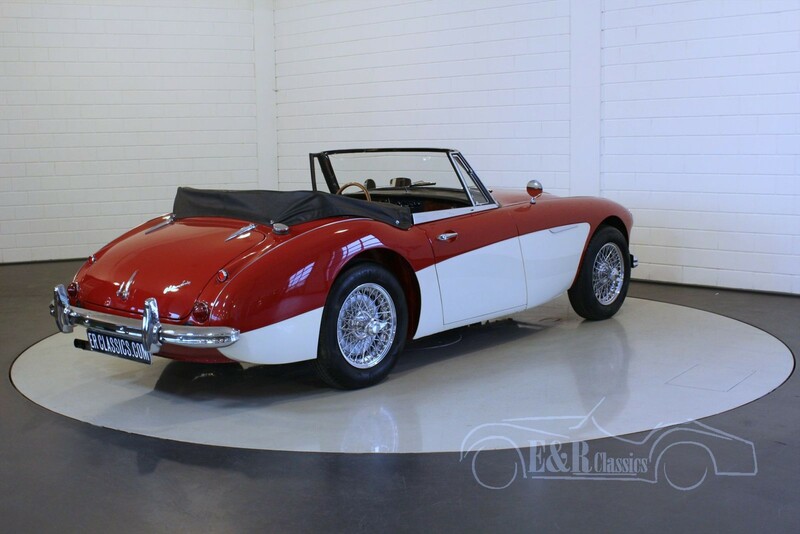 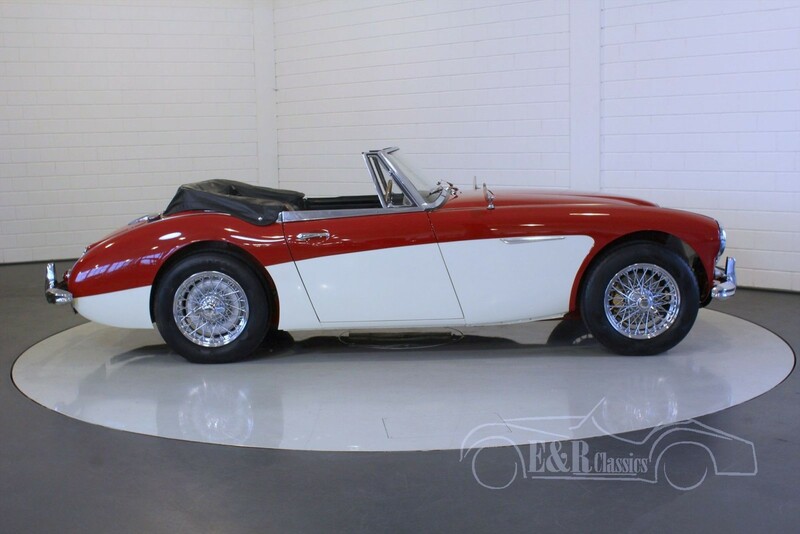 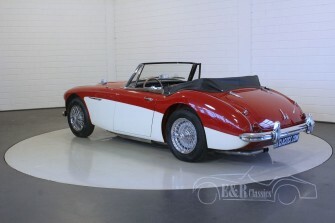 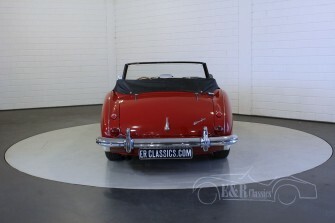 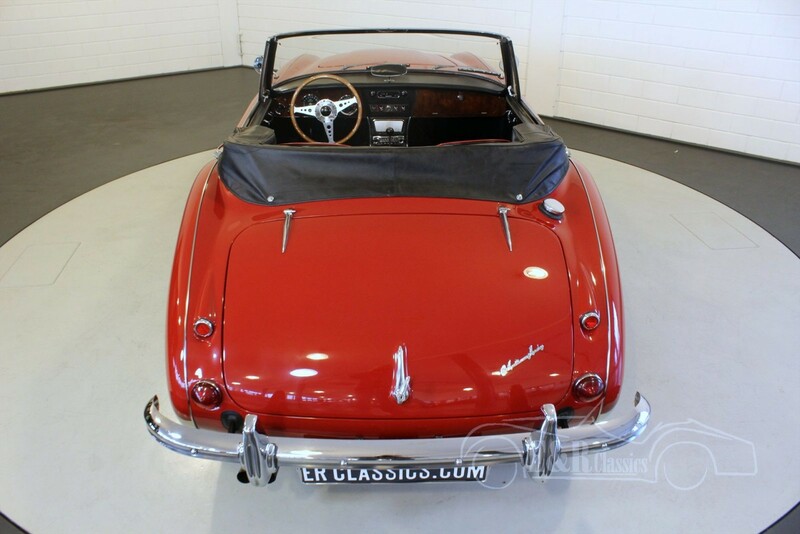 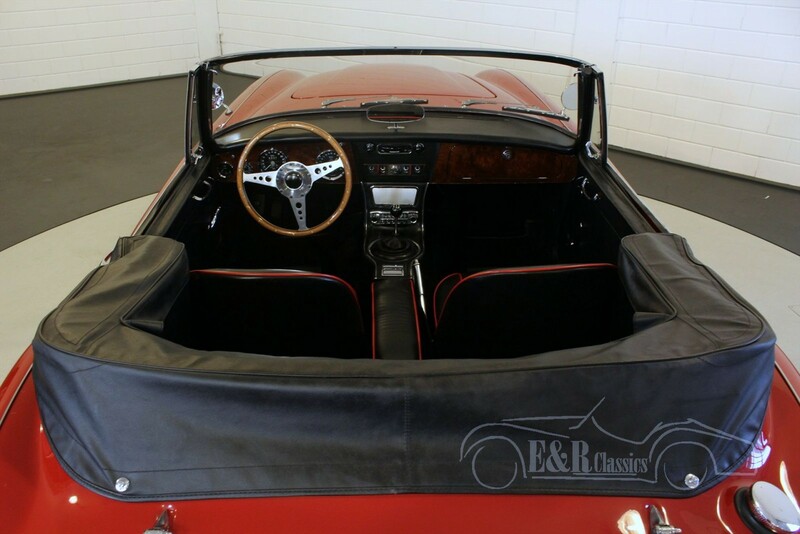 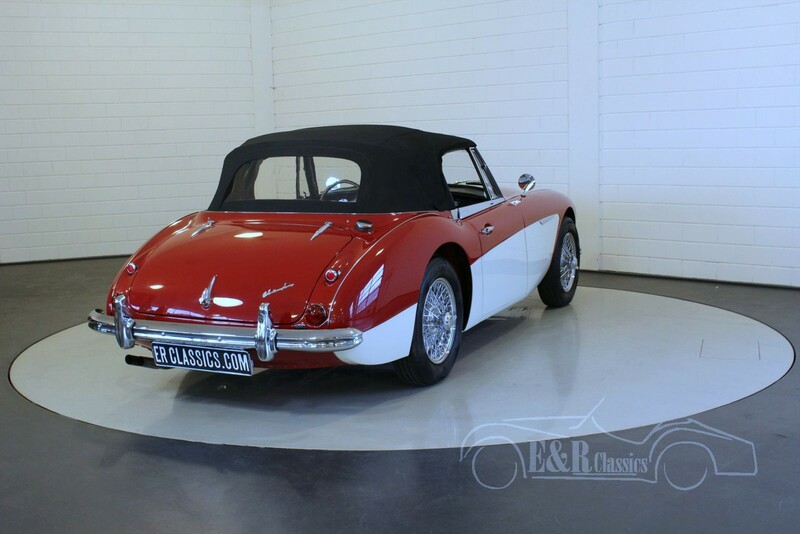 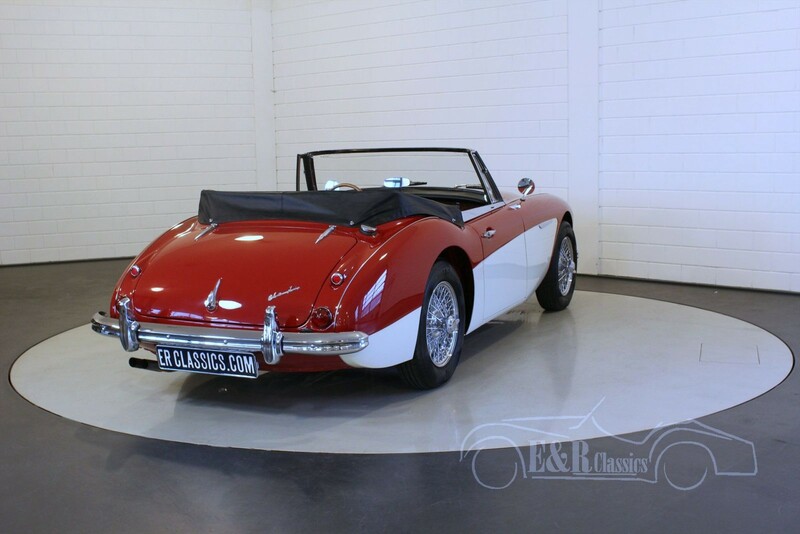 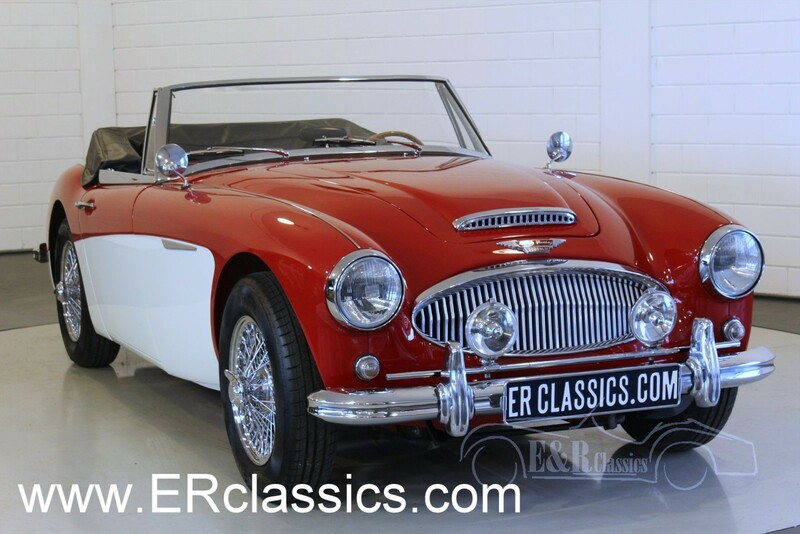 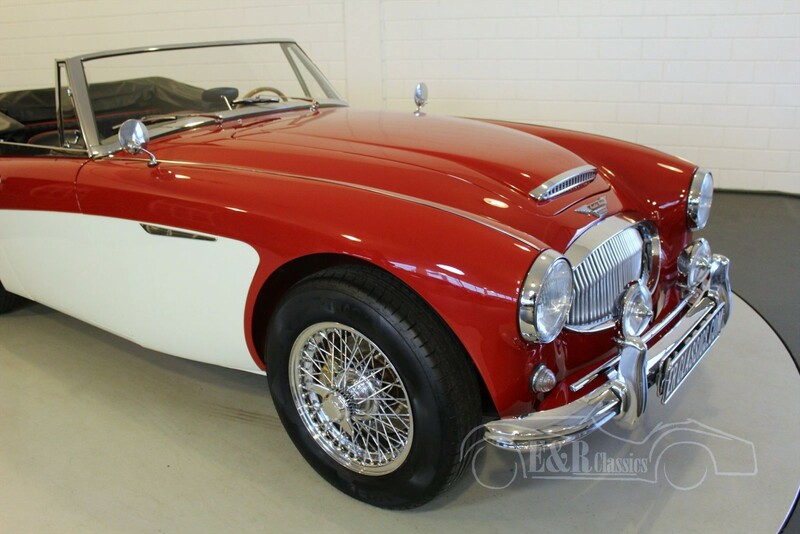 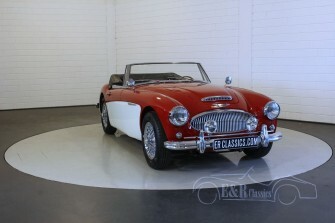 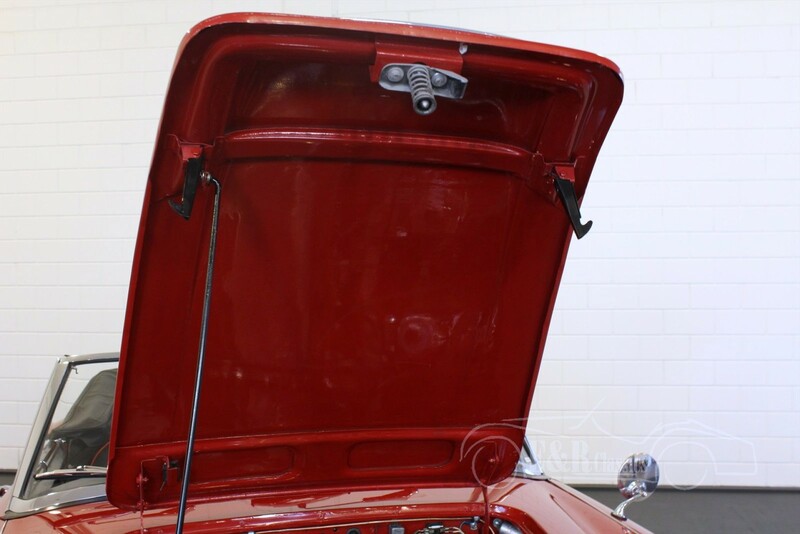 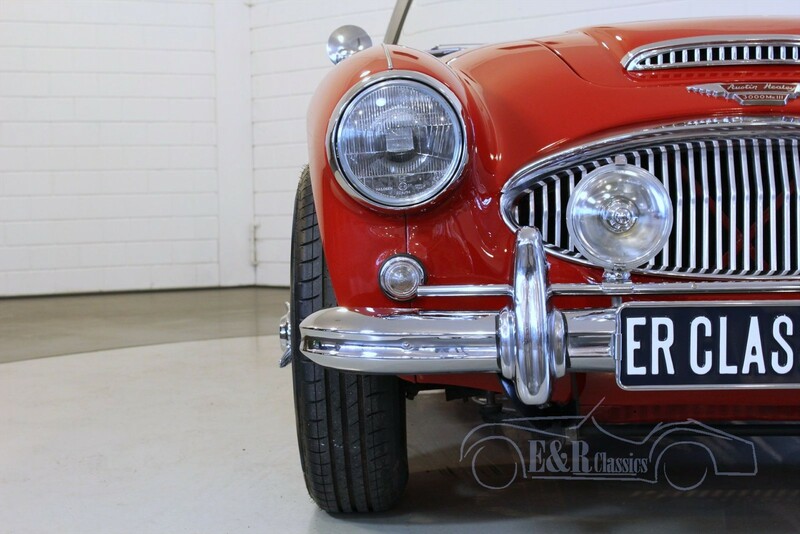 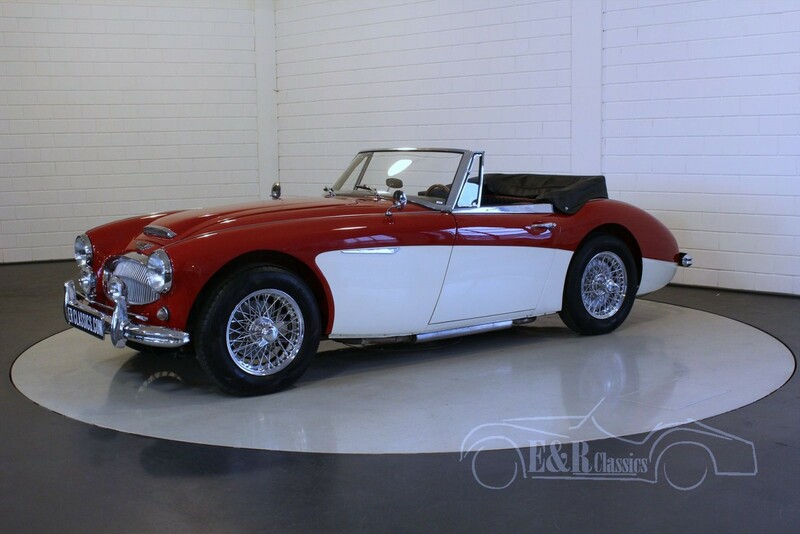 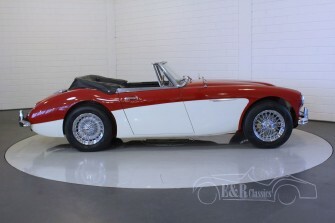 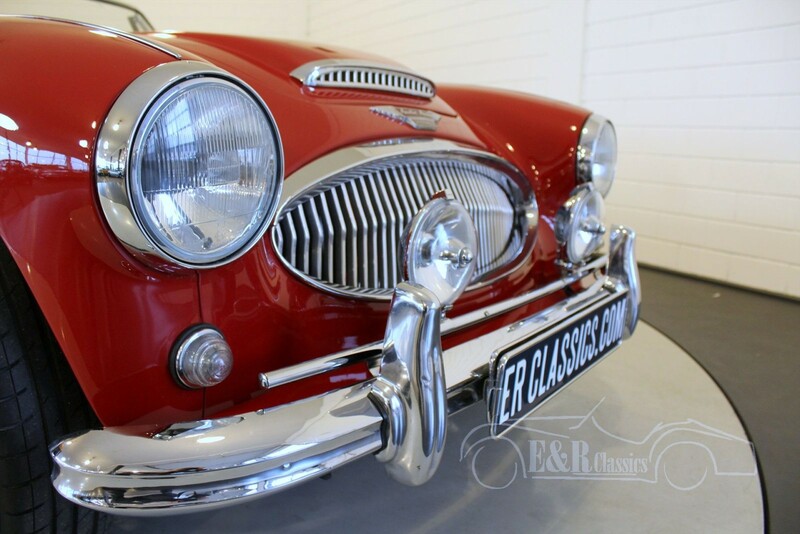 This beautiful Austin-Healey is restored and has new red paint with Old English White sideboards, which accentuates the beautiful lines of this English classic car even more. 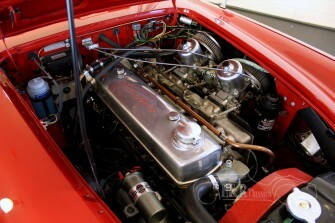 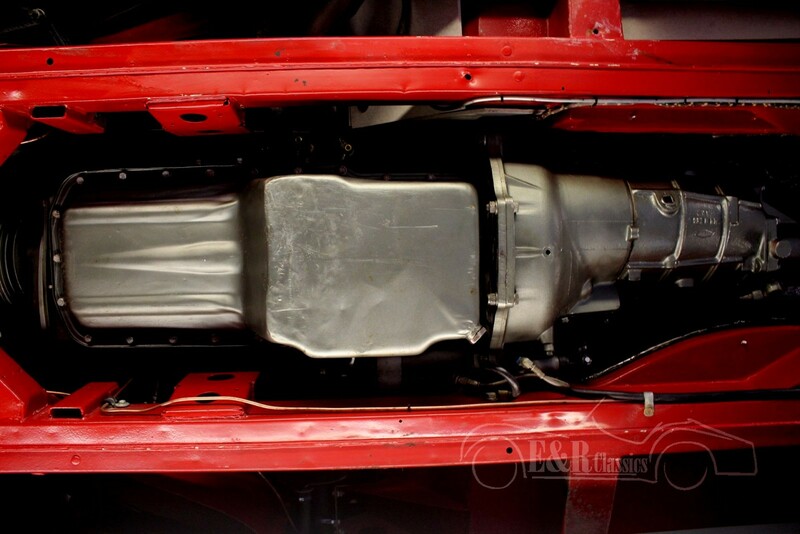 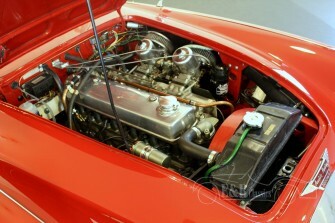 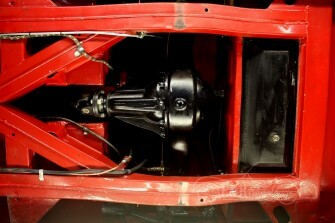 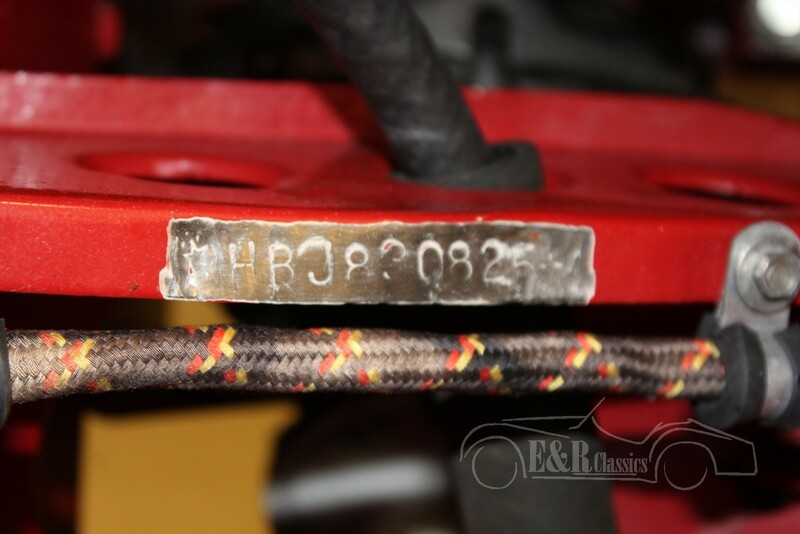 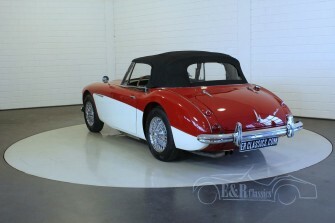 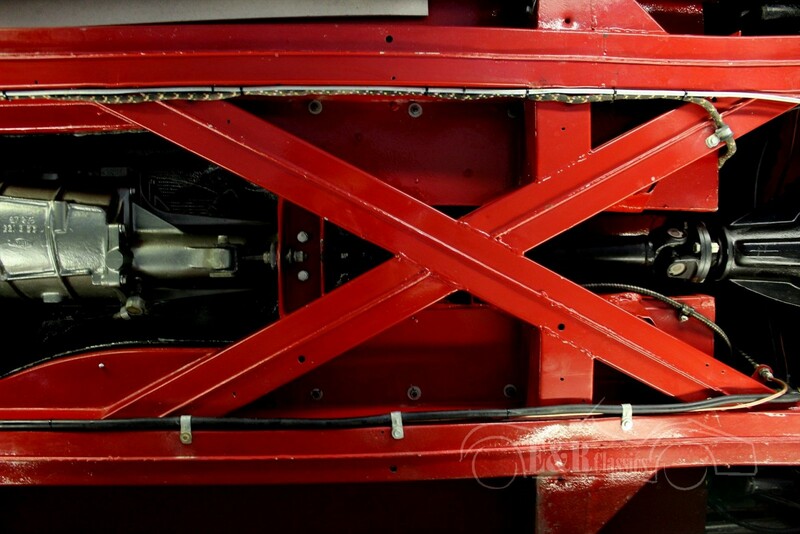 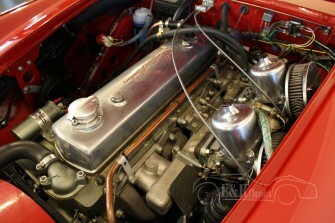 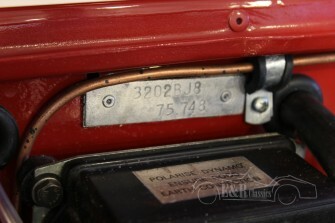 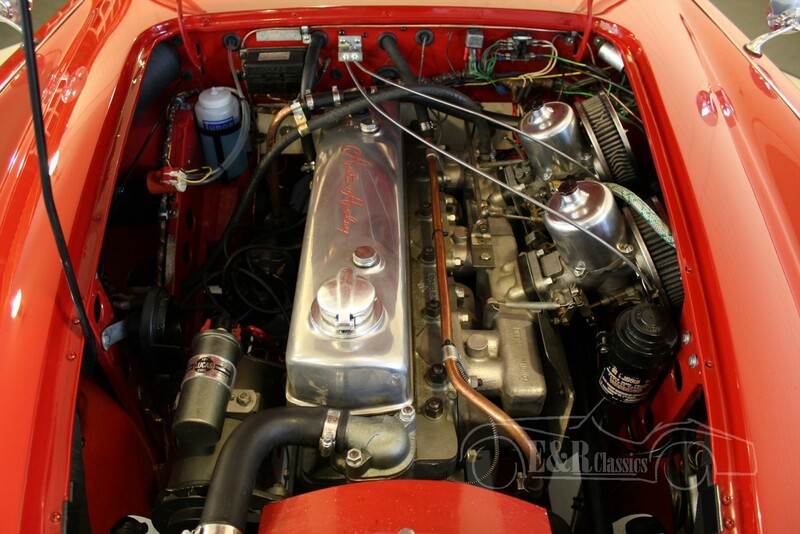 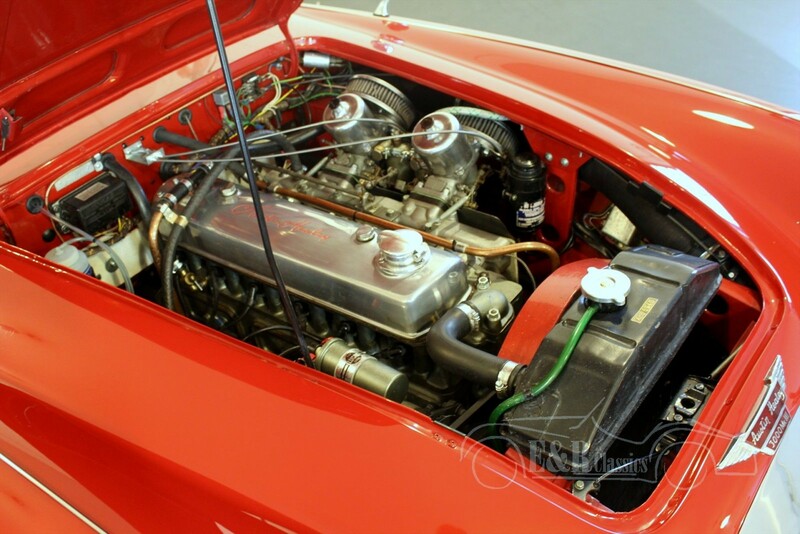 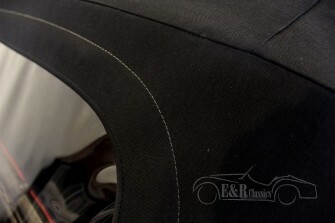 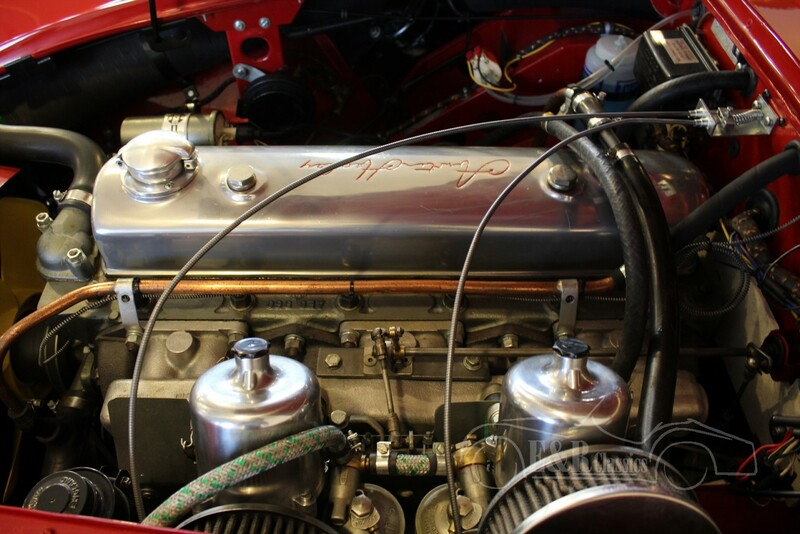 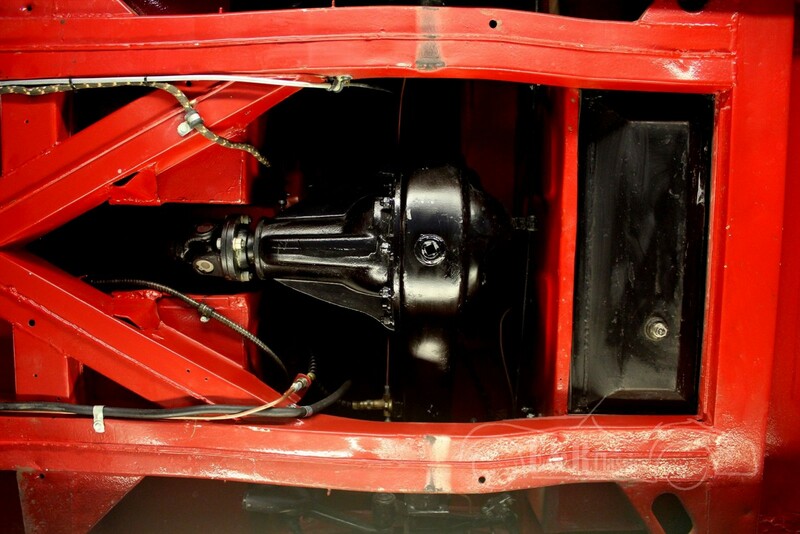 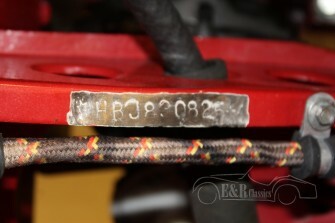 The original 2912 CC engine is in very good condition and drives really perfect. 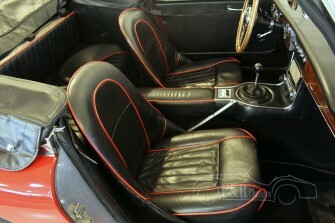 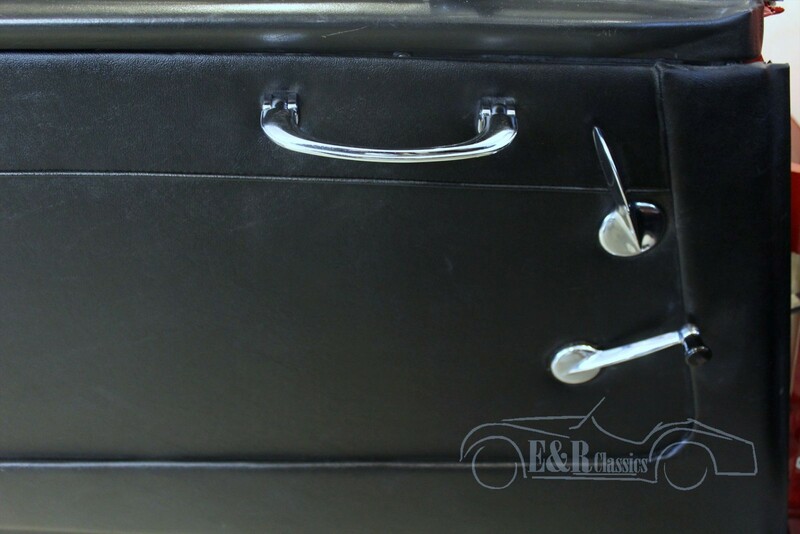 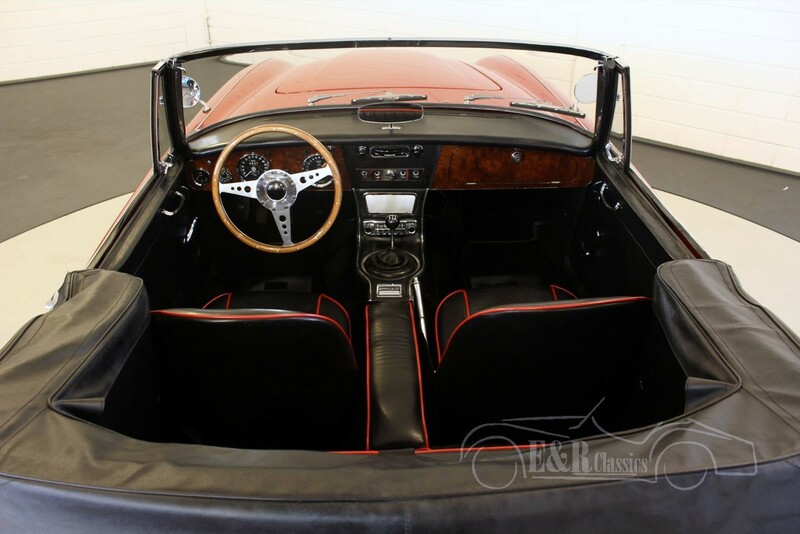 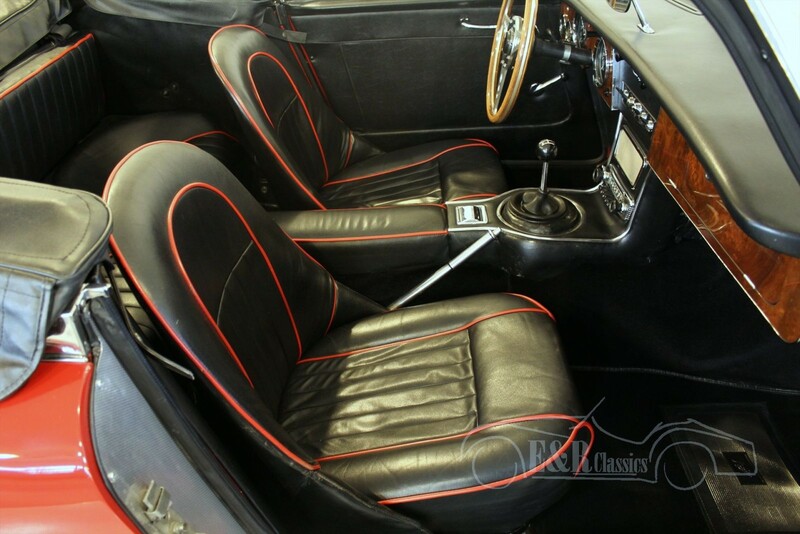 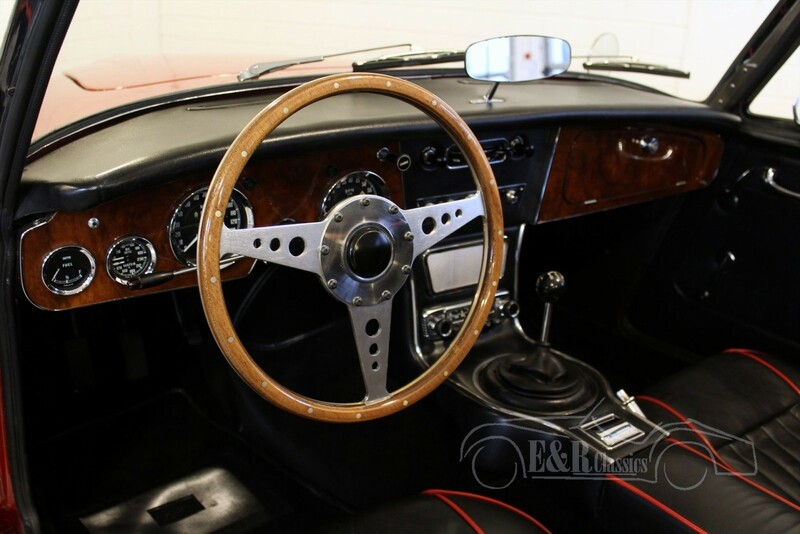 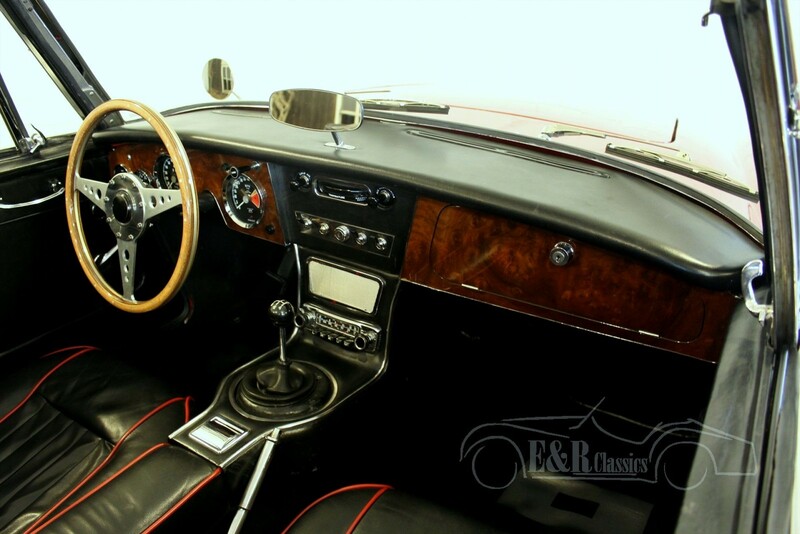 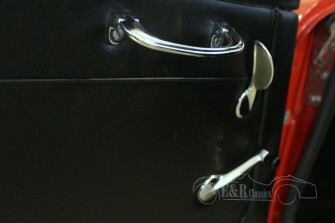 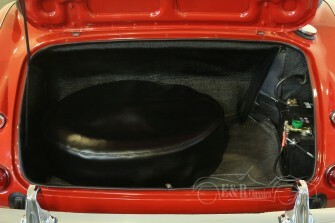 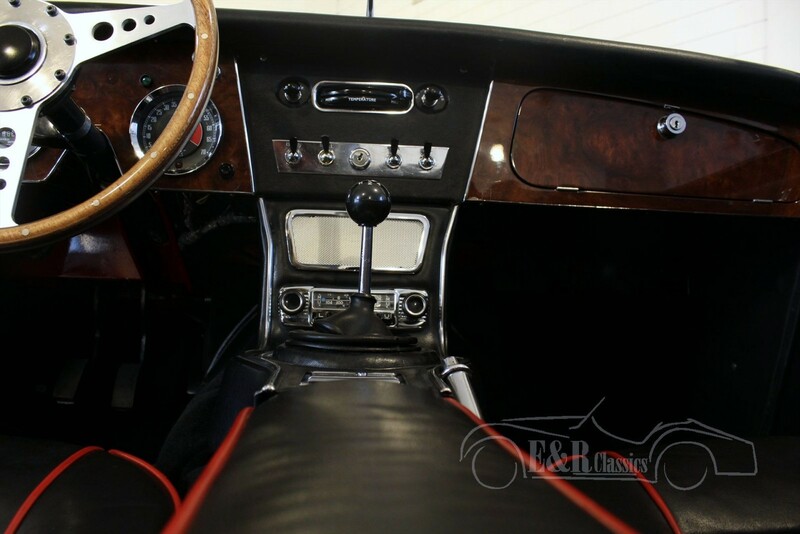 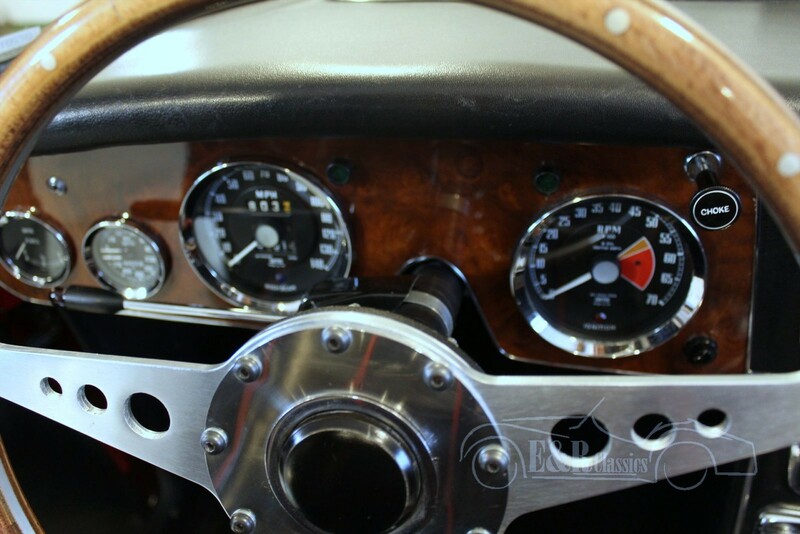 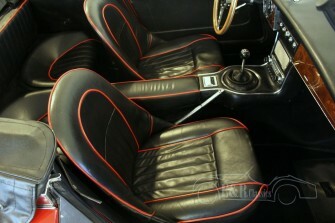 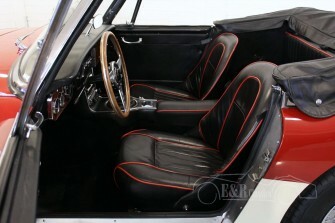 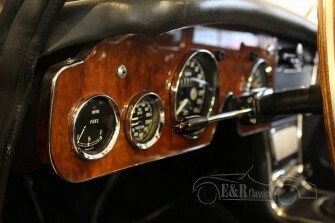 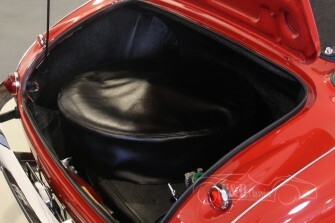 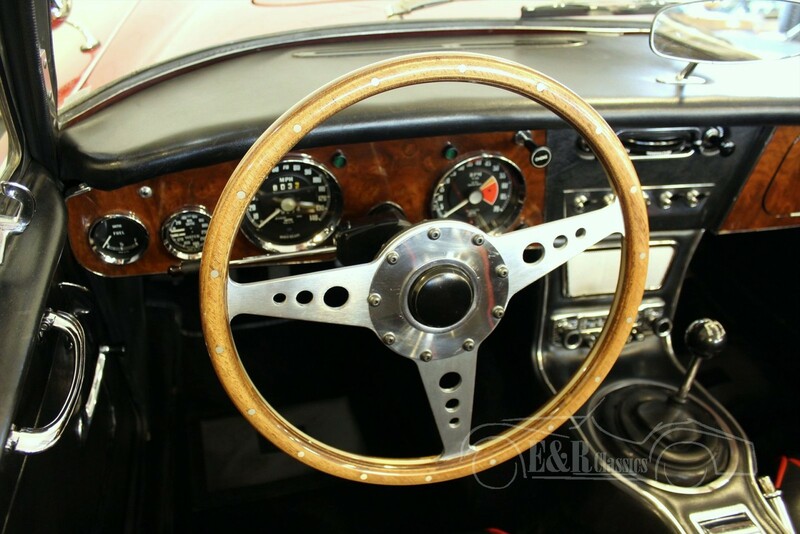 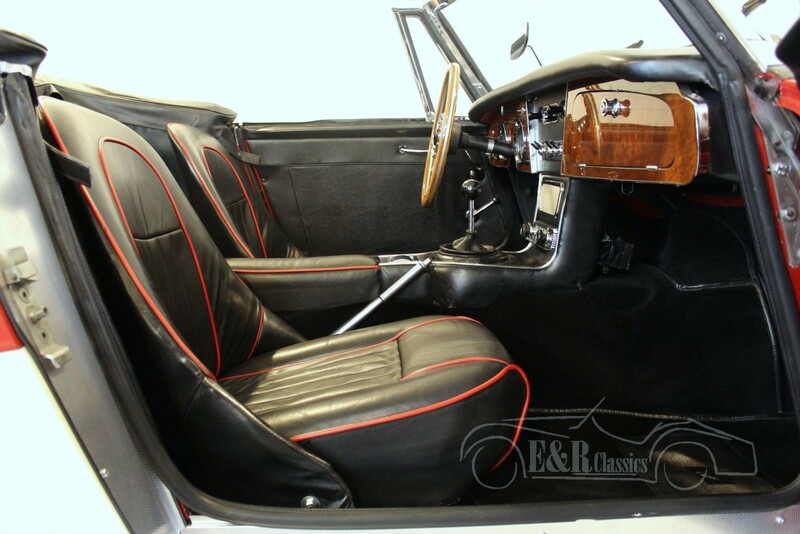 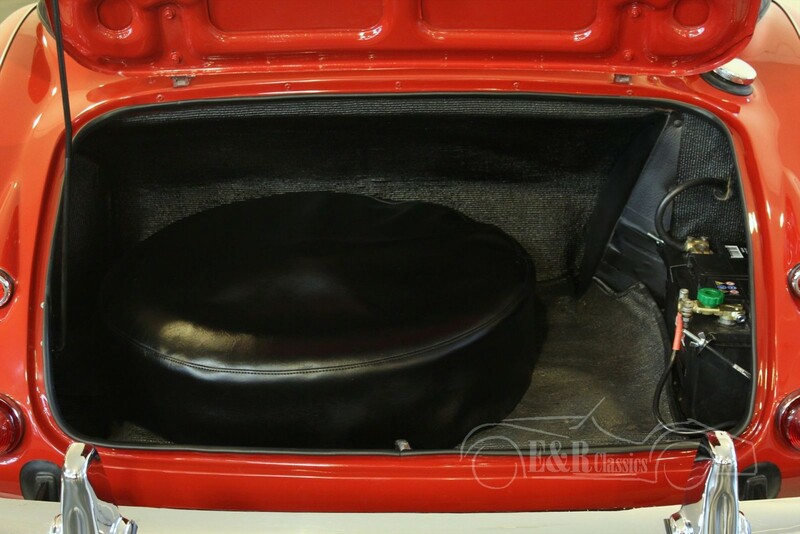 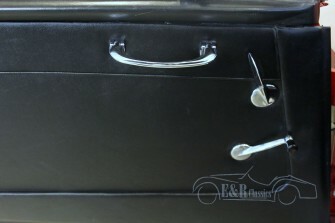 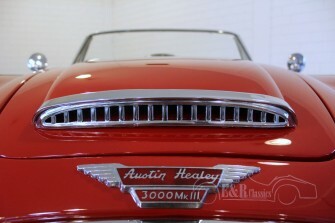 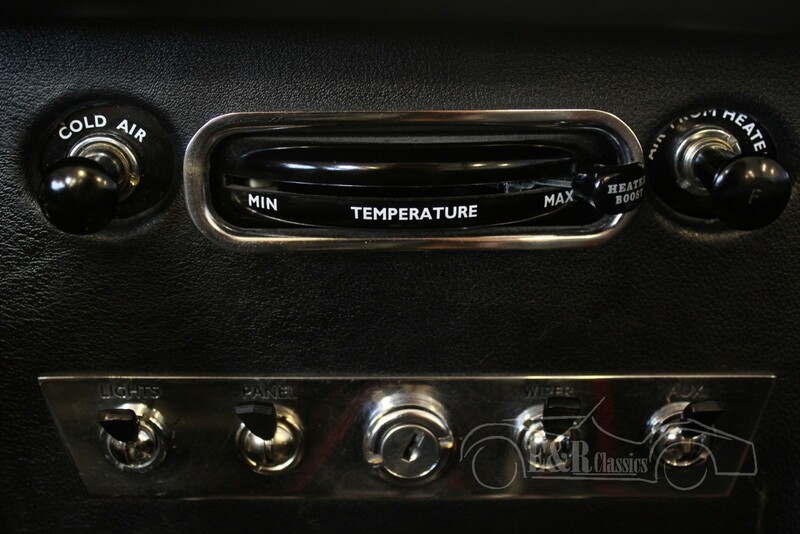 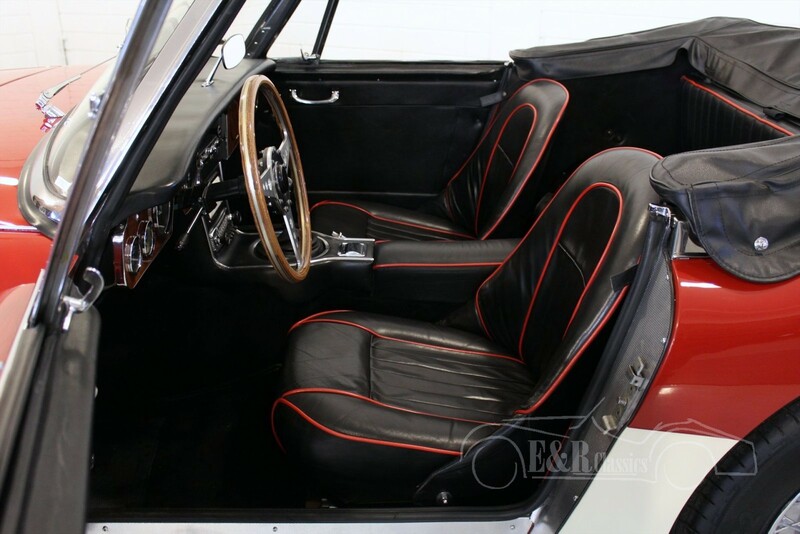 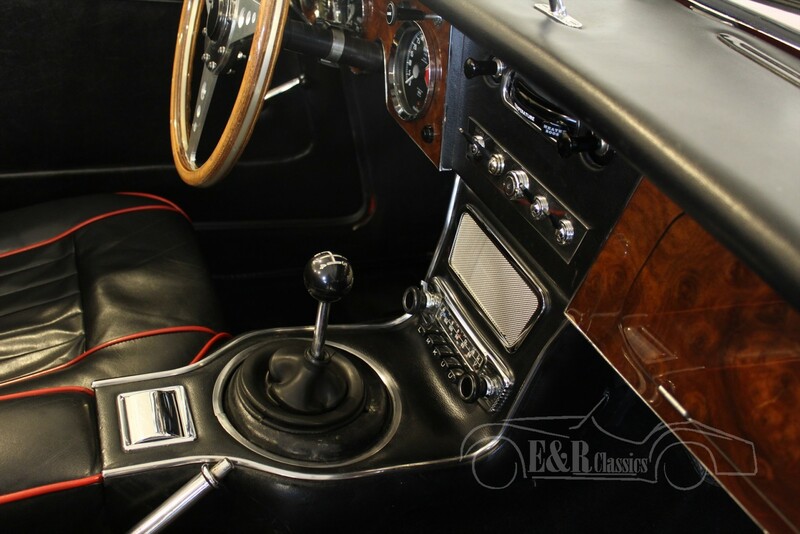 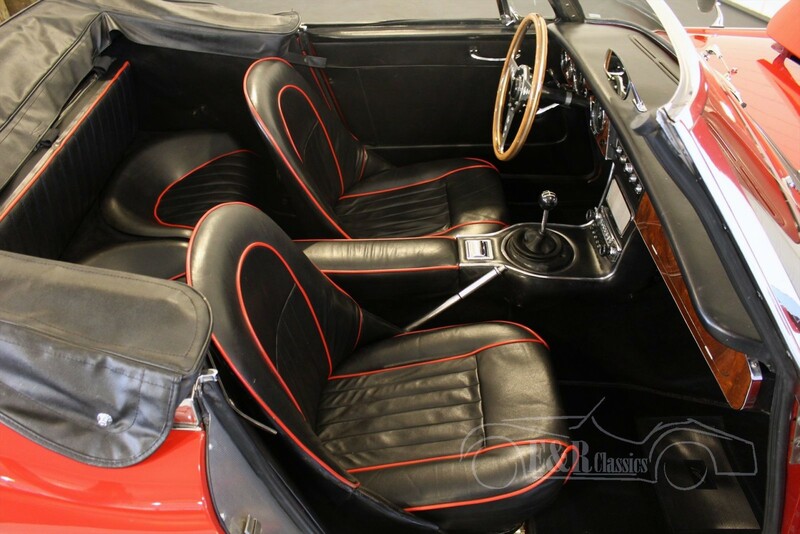 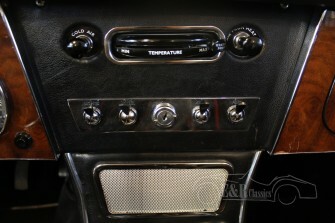 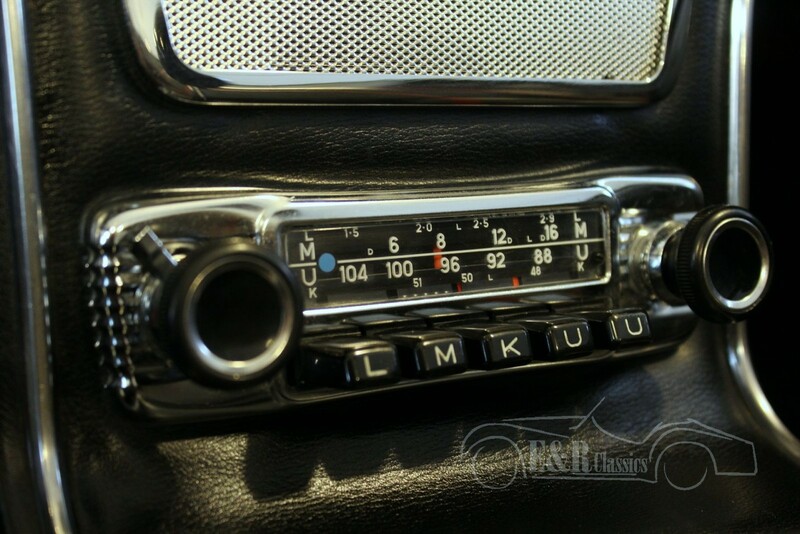 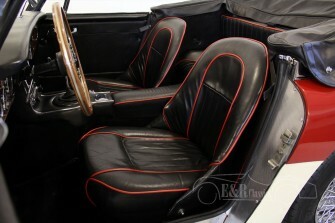 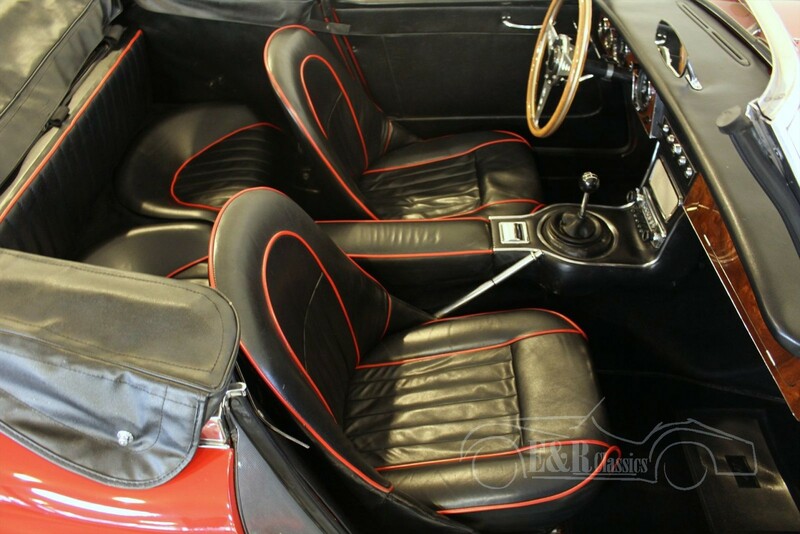 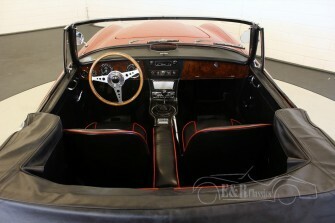 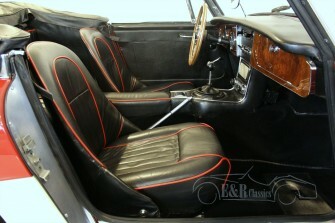 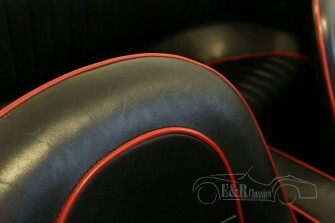 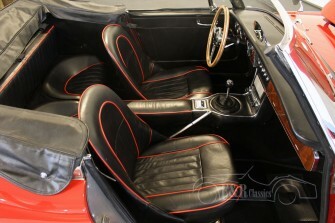 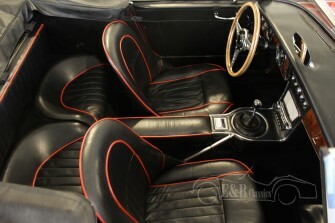 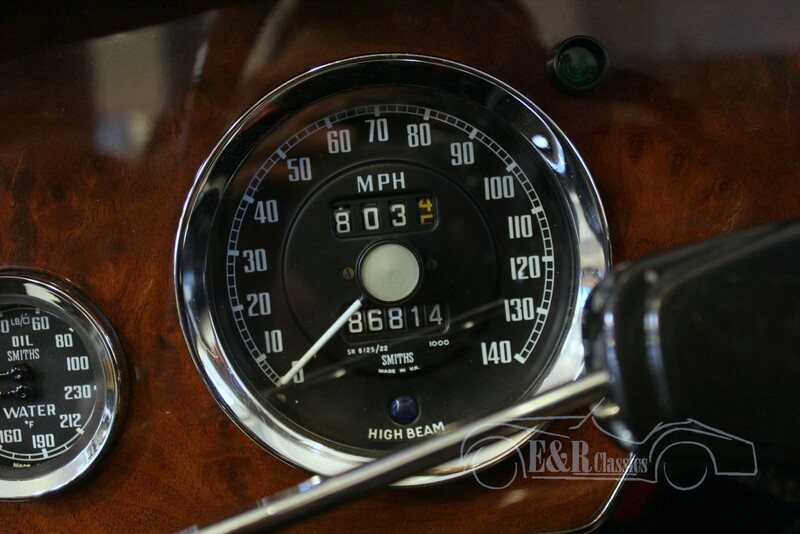 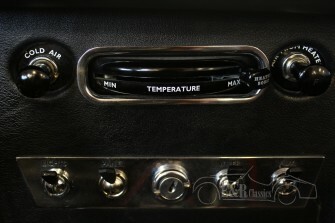 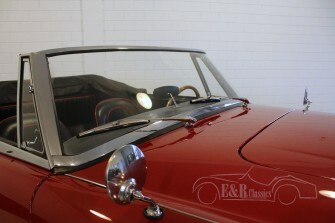 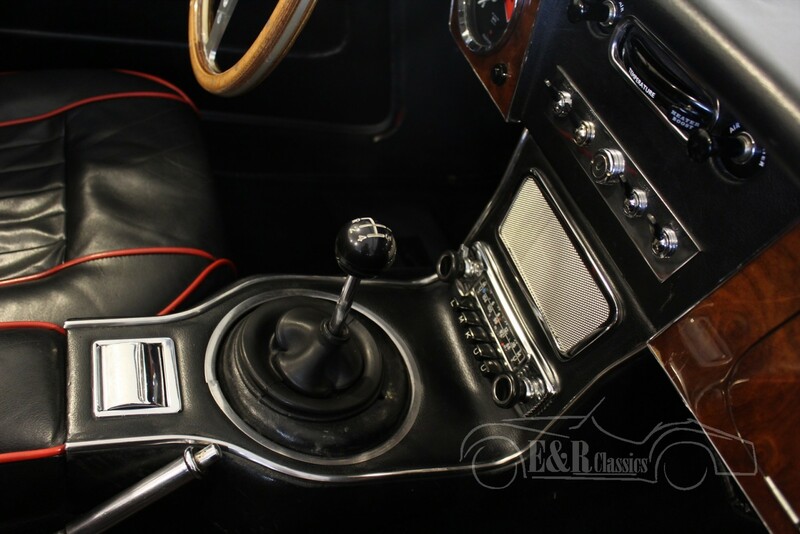 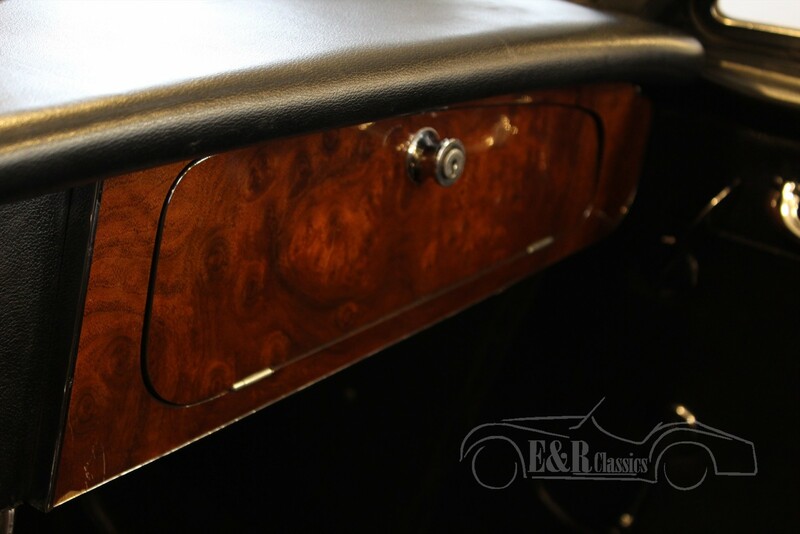 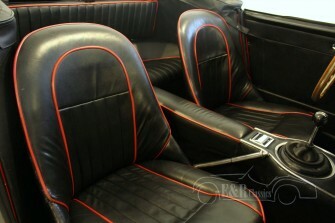 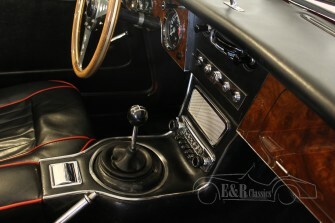 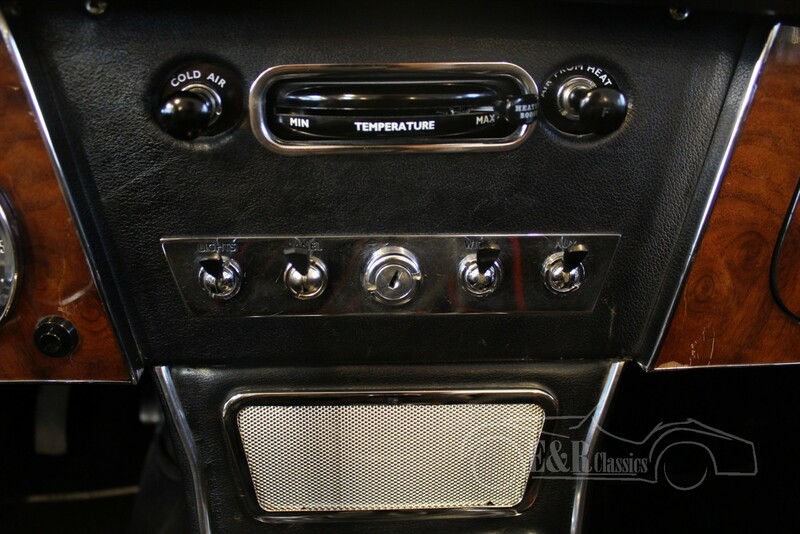 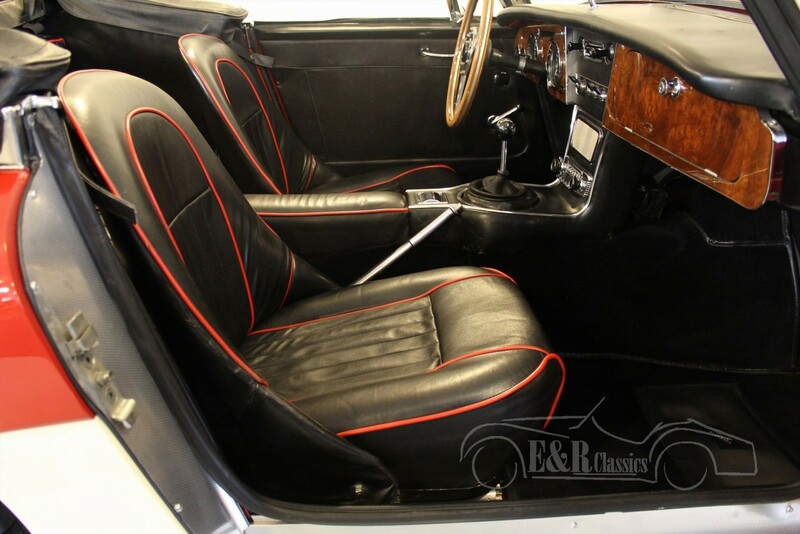 The beautiful black leather interior with red piping has a fabulous wooden dashboard with chrome clocks. 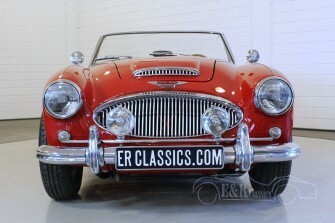 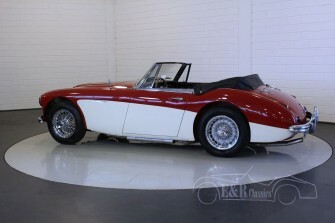 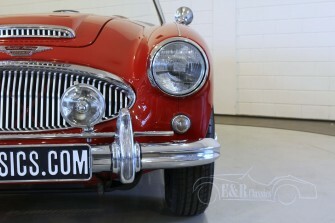 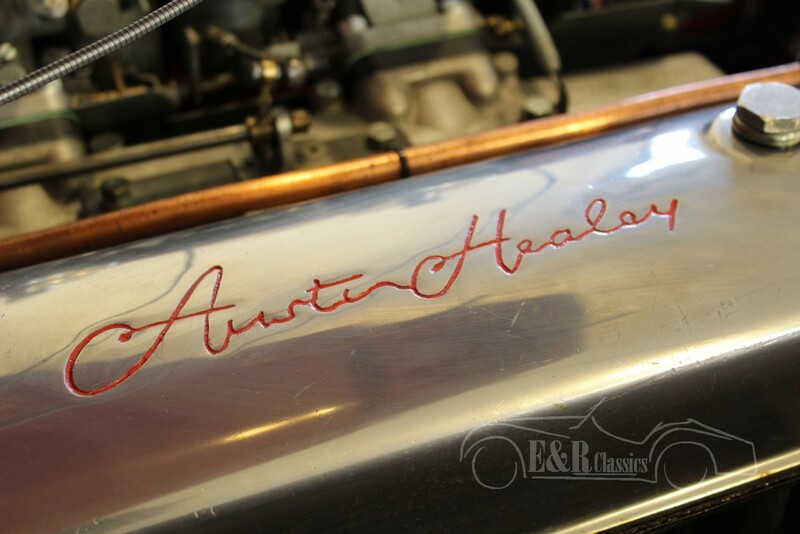 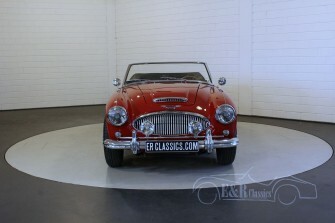 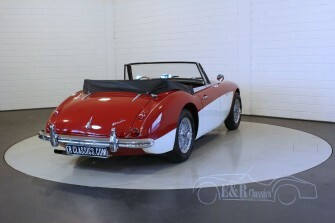 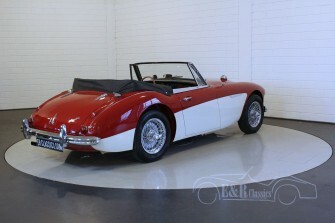 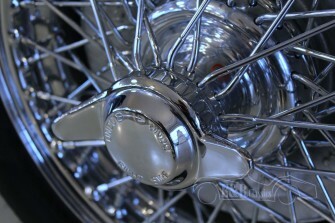 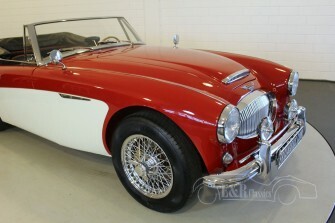 This Austin-Healey is perfect driving and beautiful to see.